On Tuesday SKY News will broadcast ANZAC Day dawn services from 4:30am plus marches and memorial services including the Gallipoli Dawn Service, Villers-Bretonneux Dawn Service and the National ANZAC Day Ceremony in Canberra. Live coverage commences from 4:30am with the Sydney Dawn Service then the Canberra Dawn Service at 5:30am from the Australian War Memorial. Throughout the morning join SKY News anchors Kieran Gilbert and Leanne Jones as they present First Edition. The program will feature Live crosses throughout the morning to SKY News reporters around Australia and New Zealand as they cover local Anzac Day marches. From 10:30am Live coverage continues with the National Anzac Day Ceremony in Canberra, including the official march, commemorative address and wreath laying ceremony. At 12:30pm we take you to Anzac Cove for the Gallipoli Dawn Service, followed by the Villers-Bretonneux Dawn Service in France at 1:30pm. Throughout the day the SKY News team will present Live coverage from Anzac ceremonies across the country as they continue to cross to SKY News national reporters. 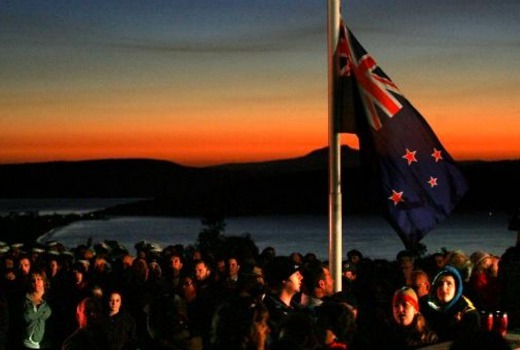 From 4:00pm, an Anzac Day edition of PM Agenda with Political Editor David Speers Live from Canberra, followed by The Latest with Ashleigh Gillon from Melbourne at 6:00pm. At 7:00pm The Bolt Report with Australia’s leading political columnist and commentator Andrew Bolt, followed by Jones & Co at 8pm and then Paul Murray Live at 9pm. Australia’s Public Affairs Channel (A-PAC, Ch 648) will feature encore presentations of Anzac Day ceremonies throughout the day. SKY News will also feature extensive Anzac Day coverage online from Gallipoli and around the nation at www.skynews.com.au/anzacday2017. For Australians and New Zealanders overseas, complete coverage of Anzac Day can be seen on Australia Channel, available on any internet connected device, both live and on demand. A two-week free trial of Australia Channel is available at australiachannel.com.au.